In 1960s London, British Intelligence agent Peter Stoller falls in love with a cab driver and his life goes off the road. When his lover is accused of being an enemy agent, Peter manages to extract them both, but the seeds of doubt have been planted. Is ignorance truly bliss or merely deadly? Oh, the pat answer is to say I’ve been writing for as long as I can remember. Which is true. I used to make magazines for the kids in my neighborhood and fill them with made-up stories and crossword puzzles. In middle school I wrote a book based on characters my best friend and I had made up—a pair of sleuthing sisters called the Hemlock Sisters. In high school I used to write in this notebook—it was an ongoing soap opera story, and it would get passed around and then returned to me so I could write the next chapter. So I’ve really just been writing forever. Living as a lot of different, interesting people. I love exploring character. And I love building their worlds for them, their lives. I should be more disciplined about it. Mostly I faff about online and then finally feel guilty enough to start working. I do better when I know people are excited about it, when I have them cheering me on. Then again, that adds a lot of pressure, too. Yes, despite my procrastination. There are very few days I don’t write at least a little. I start to get cranky and unpleasant if I go very long without writing. What do you wish you’d done differently when you first started the publishing process? Been more patient. I still wish that. We all want to be done as soon as possible, but the truth is, in order to have a good book you have to take your time with it. It’s not perfect after one draft. You can’t type “The End” and then immediately start sending it out, or immediately self-publish it. Not if you want it to be the best possible work it can be. What do you think is hardest aspect of writing a book? The actual sitting and writing is difficult for me. If oral storytelling were still a thing—if I could make a living that way—I’d find that much easier. The thing is, once the book is published, it becomes a static thing. I know you can always go revise an e-book, but in general there is a sense of permanence that . . . It makes me want to get it right, get it perfect. And putting the words on paper (or computer screen), I know it will never be perfect. It can be damn good after lots of work, but once it’s done, it’s done. When you tell a story verbally—this is like live theatre versus something filmed—it’s living and breathing and can change a little every time you tell it. You can always make it better, closer to perfect. I’m not sure I’ve answered your question, but in a nutshell, the pressure to get it right is one of the hardest things about writing. I’m a character writer. I believe character informs plot. My books are about people and how they act and react to situations. So I begin with character, with knowing a person, and then test them with plot. Every day, even if only for a few minutes over my lunch. I think it’s subjective. And I think it depends on what you’re looking for at any given moment. A good story is any story that suits my mood or serves my need at the time. I have three Sherlock Holmes stories, an anthology of short stories, and an odd duck novel about reincarnated Greek gods on a film set. 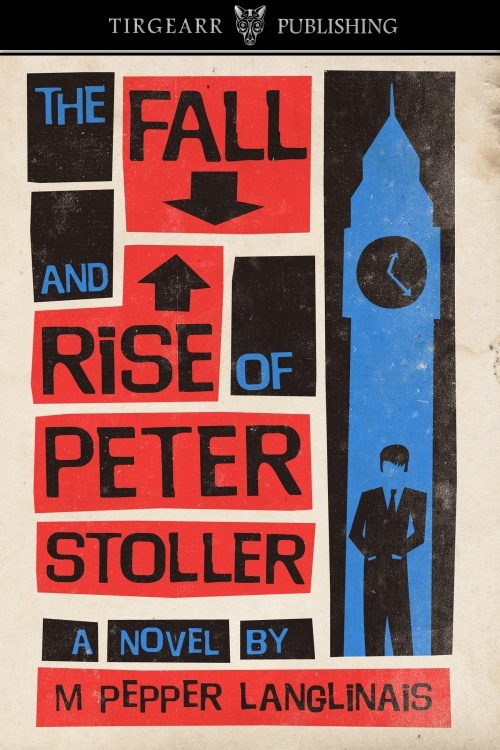 And then my latest is The Fall and Rise of Peter Stoller, which is a British spy novel set in the 1960s. I don’t know if it’s a talent, but I read Tarot cards and astrology charts as a hobby. I’m also the person my friends come to when they need a dream interpreted. Is writing your dream job? I think if I had my druthers I’d be in a more social situation. Which is funny because I really do like to be alone and can’t work with other people even in the house. But I miss some of the camaraderie of working with others. I wouldn’t say no to being on a film set again, or in a writer’s room. Almost every day, I think, and sometimes two or three times a day if there’s anything interesting going on. I resisted getting a Facebook author page for a long time, but now that I have one, I find I enjoy it. I’m still trying to get people to Like it, though. And I think Facebook has some underhanded practices in burying posts if you don’t pay to promote them. I’d like to be remembered as a good author, plain and simple. Failure. The idea that I’ve put in so much time and effort and it still wasn’t good enough. Would you make a good character in a book? No, I’m too boring. I think I’m good at dinner parties, good in short bursts, but not interesting enough to sustain a novel. No snow! I can do cold, I can do wet, but I don’t do snow. What’s your favorite thing to do/favorite place to go on date night? I like fondue, or going bowling or miniature golfing. I like museums, too. I have low tolerances for just about everything: noise, stupidity, a**hole drivers . . .
What do you like to do when there’s nothing to do? I get bored really easily. If there’s nothing to do, I’ll hop in the car and drive around while listening to music really loud. Or go for a walk with my headphones in. London. My goal is to have a flat there one day. But I also love New Orleans, which is where my family is, and Savannah. Cleaning the bathroom. Because ew. But I do it. Because if you don’t . . . ew. It’s just ew all around. Would you rather be a movie star, sports star, or rock star? Movie star. Or an actor at any rate. I loved being on stage. All kinds of things. A lot of cheese, and some pork chops and bacon and sausages. Brussels sprouts, carrots, berries (for the kids; I’m allergic). Refried beans, black-eyed peas, yogurt, chai, milk, soda, apple juice, eggs, and a massive collection of salsas. There’s a line in a Tabitha’s Secret song: “All is nothing in moderation.” It took some noodling for me to understand that, but now that I do, I really like it. I have no idea. Peter is very reticent, can be somewhat inscrutable. One might never know what he honestly thinks of you. That’s great for his work as a spy, but it makes getting to know him difficult and causes real trouble in his relationship with Charles. A paper for school maybe? Or I was once commissioned to write a screenplay for an indie director, and I found it very difficult to write because he wanted something that was outside my usual realm. It took me a long time, but it turned out well, I think. He plans to make the movie when he can get funding. Where is your favorite library and what do you love about it? We have a beautiful library in our town, and I love the café they have there—I meet friends there from time to time. They also have a great little used book shop. I guess I should say Sherlock Holmes since that’s what I’m known for. He’s fun to play with, has so many layers. But if we’re talking about something completely outside of anything I write . . . I like Peter Grant (from Ben Aaronovitch’s series). If you had a talk show who would your dream guests be? Rob Thomas, Robert Downey Jr. . . . Just people named Rob in general, I guess. Oh, except also David Tennant. But we’d call him Rob just to keep from confusion. You have a personal chef for the night. What would you ask him to prepare? I like comfort foods. Down-home stuff. I’d ask for some chicken fried steak with gravy, some sausage jambalaya. Fried mac ‘n’ cheese balls or something. New York style with lots of pepperoni. A painting of Westminster in London (Big Ben and the Houses of Parliament). What’s your biggest pet peeve about writing? That it takes so long. The process of getting something from my head to paper, and then getting it sorted so that it makes sense to readers . . . It’s exhausting and takes a long time. I wouldn’t. I don’t mind Klondike bars, but I’m not any huge fan of them. Young Sherlock Holmes. I used to come home from school every day and—no exaggeration—pop it into the VCR and watch it while doing my homework. Every. Single. Day. And I still love it. There’s not any one book I’d call my favorite. I’d say Richard Adams’ Watership Down and Zilpha Keatley Snyder’s The Changeling have had the biggest impact on me though. If you had to choose a cliché about life, what would it be? It isn’t fair. It’s not a meritocracy, you know. That’s been a big let down in life. Sometimes you work really hard and you still don’t win. Sometimes people who didn’t work as hard, or whose work wasn’t as good, still get ahead. The best way to keep that from bothering you is to only focus on doing the best you can. Don’t compare yourself to others because you’ll only find reasons to be unhappy. As I mentioned above, I just finished a young adult fantasy novel, so I’m looking for agents or publishers for that. I anticipate it being the first in a trilogy. And now I’m writing a Regency romance because I needed something light and a little silly after Peter and the YA novel, both of which have a lot of weight to them. I’ll be writing more Sherlock Holmes in the future, too, and possibly another book in the Peter Stoller series; I have an idea of making his assistant Simeon the center of the next one. M Pepper Langlinais is best known for her Sherlock Holmes stories. 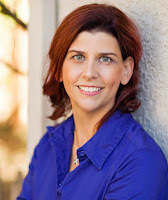 She is also a produced playwright and screenwriter. She lives in Livermore, California. Thanks so much for hosting me! I had a great time answering your questions! What a wonderful long interview. I enjoyed reading it. All the best of luck with The Fall and Rise of Peter Stoller. Brilliant title. Thanks, Cathy! I got the title by polling my readers!